Cypress, TX - This 5,400 square feet playground was built on a unique, bowl-shaped plot of land. Building in “The Bowl” put our ingenuity to the test, and required us to shift and adjust large quantities of dirt in order to create something safe and functional. The finished playground is a beloved family attraction, perfect for fitness, picnics, and adventures. 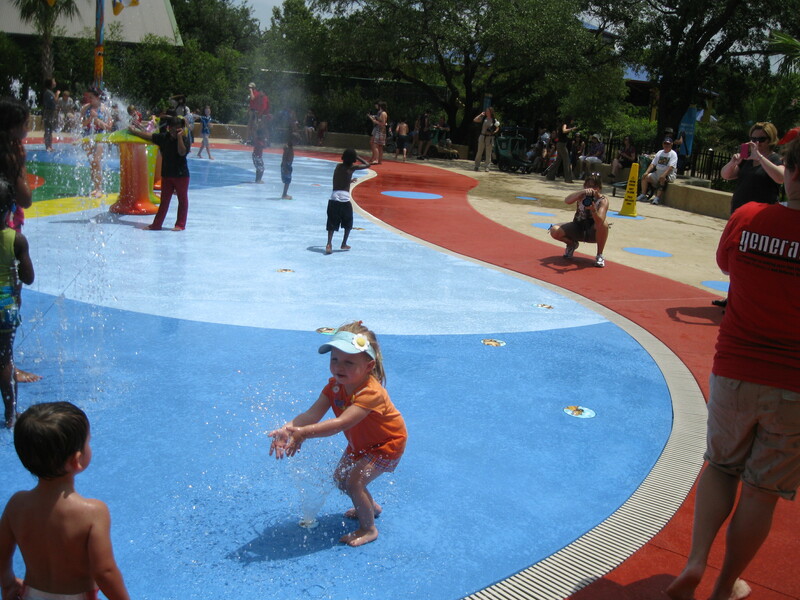 Houston, TX - Modeled around a fun sea serpent design, this 3,200 square feet Splash Pad was a unique but successful challenge. With thousands of guests to safely accommodate, water filtration became our utmost priority when designing the park. The finished result was a massive success, attracting thousands of new guests and entertaining parents and children alike. 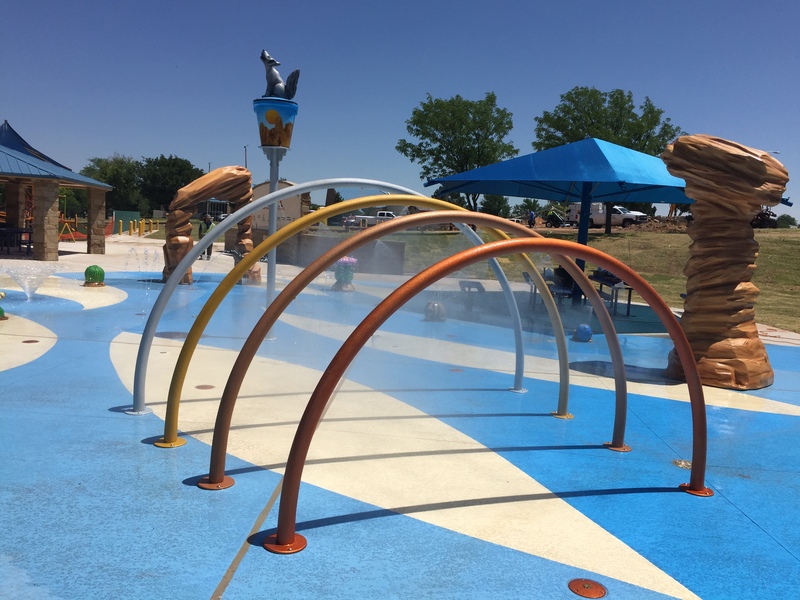 Amarillo, TX - This fully accessible, 5,000 square feet Splash Pad was designed as a fun space for children with disabilities to enjoy themselves safely. With a budget of $450,000, we built a space that continues to attract guests from both in and outside the city of Amarillo. Amarillo, TX - One of our most visually exciting projects ever, this 2,500 square feet Splash Pad is also one of our most successful. 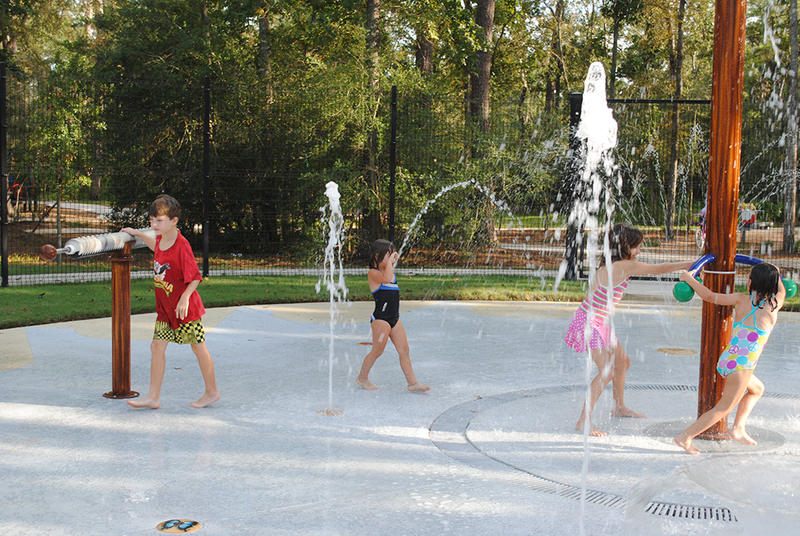 Based around an artistic silver motif, this one-of-a-kind Splash Pad has the sophisticated sheen of sculpture. The finished product is as fun as it is beautiful! Park attendance has consistently doubled since completion. East Bernard, TX - Covering over 18 acres of raw land and taking 12 months of construction, the East Bernard hardscape is one of our most extensive projects to date. 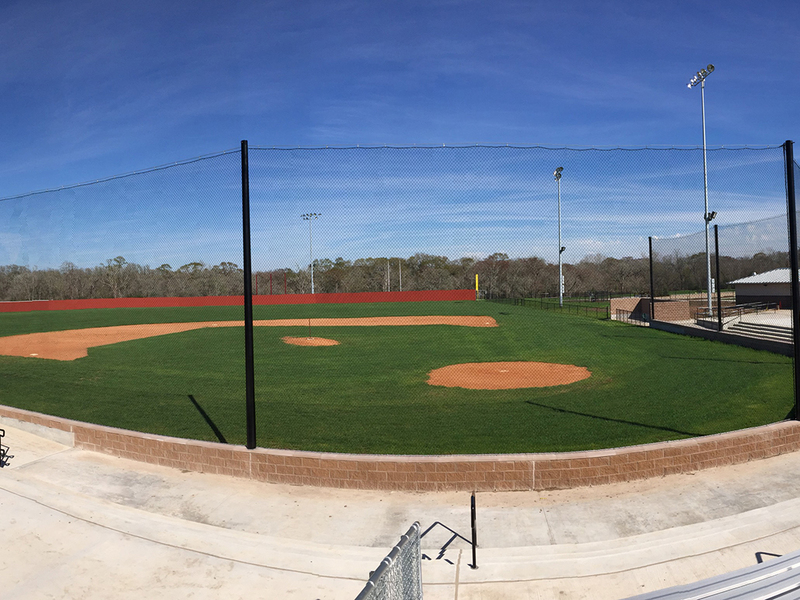 Working together with Talley Landscape Architects, we transformed this outdoor space into a multi-sport community center complete with a baseball diamond, soccer field, volleyball court, concession stands and more. East Bernard, TX - This gorgeous, nature-themed playground was built on a spacious 3,400 square feet plot of land. 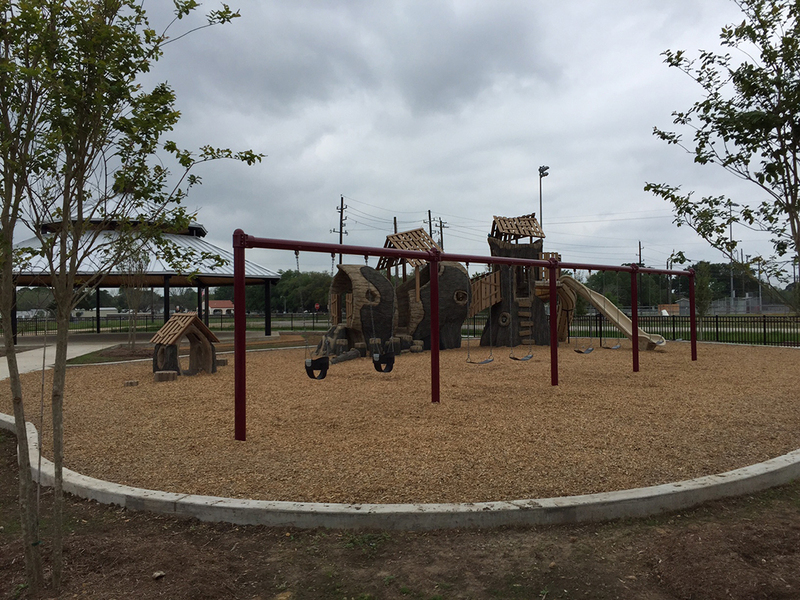 With partial funding from the Texas Parks and Wildlife Grant, we built an imaginative playground using tree-inspired pieces from Themed Concepts and swing sets crafted by Superior Recreation. 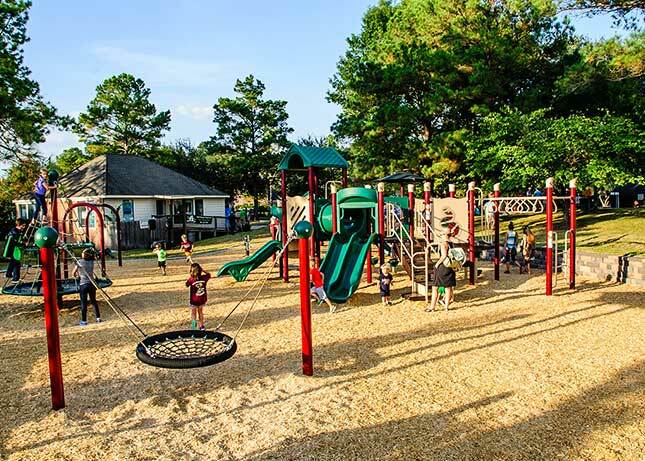 Woodlands, TX - The church needed innovative equipment to help them make the most of their newly expanded, 4,500 square feet outdoor play area. For a truly one-of-a-kind experience, we built a non-traditional rope play structure installed over Poured-in-Place rubber surfacing. 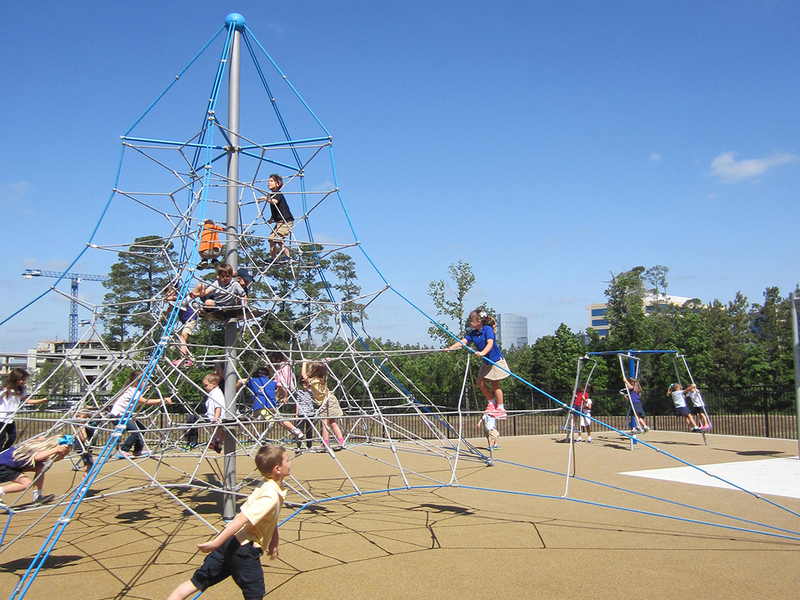 One of the playground’s most popular pieces, the rope set provides a fun experience for both children and their parents. 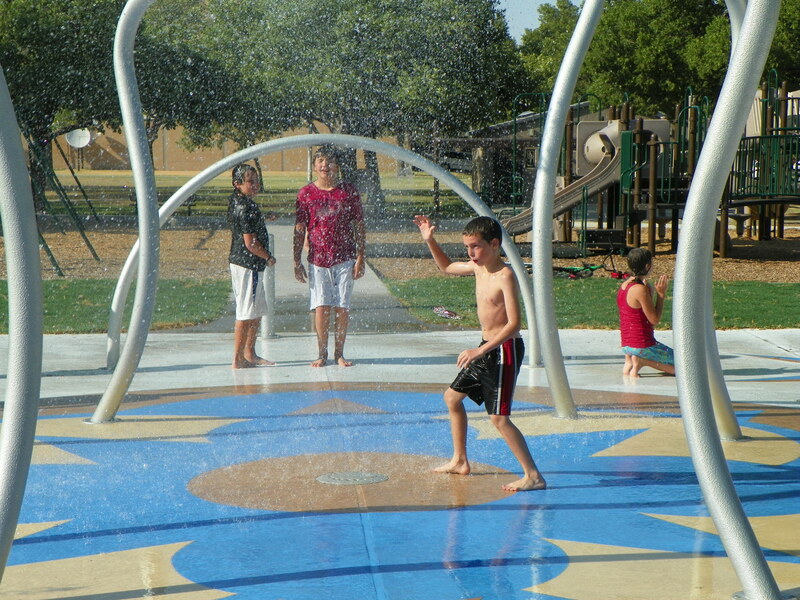 Grapevine, TX - Built in a flood plain, this 4,000 square feet Splash Park required some unique considerations to ensure that the equipment would be protected during a flood. 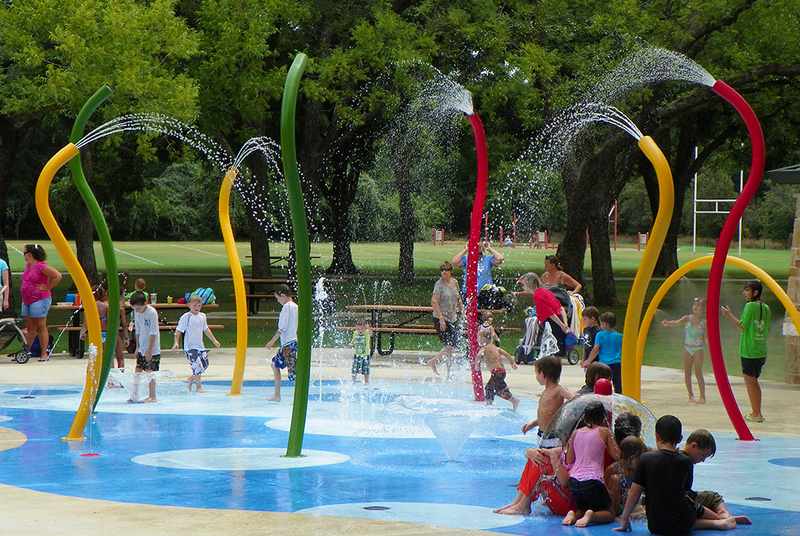 Using our signature ingenuity, we built a safe, enjoyable Splash Park that could thrive in its unique environment. 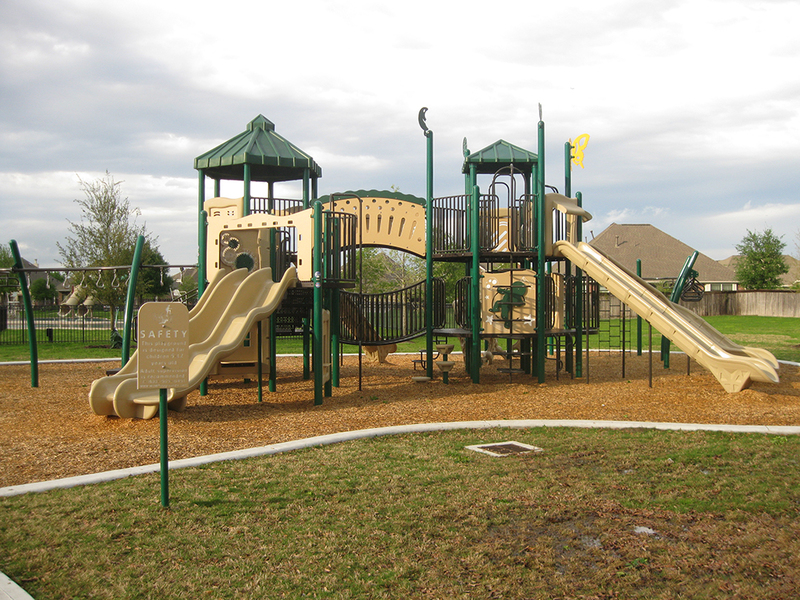 Cypress, TX - This exciting, large-scaled playground was built on a lovely two-acre plot of land. Using shelters and playground equipment from our trusted friends at Superior Playgrounds, we transformed this once-blank common area into a fantastic playground beloved by kids and parents alike. Andrews, TX - The city of Andrews came to us with a fantastic pool center in desperate need of some fresh new equipment. We replaced their old, unsafe waterslide and upgraded the center’s visual appeal with some comfortable shading and attractive finishing. Once completed, the revitalized center became more popular than ever within the community. 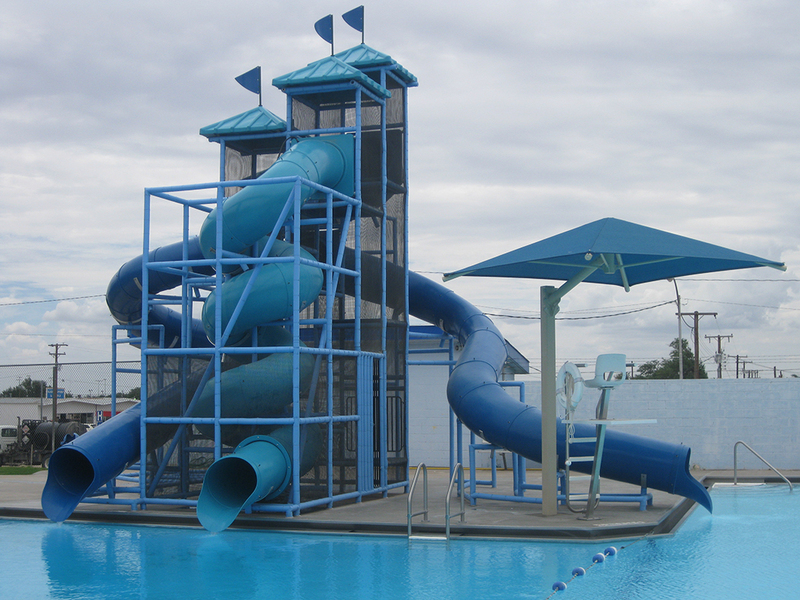 Woodlands, TX - To help this aging pool facility attract larger crowds, we built an incredible 2,000 square feet Splash Park and nearly doubled the size of the facility’s baby pool. To honor the storied history of the nearby community, the Splash Park was designed and decorated to mirror the historic Sawmill located nearby.